Hey everyone! 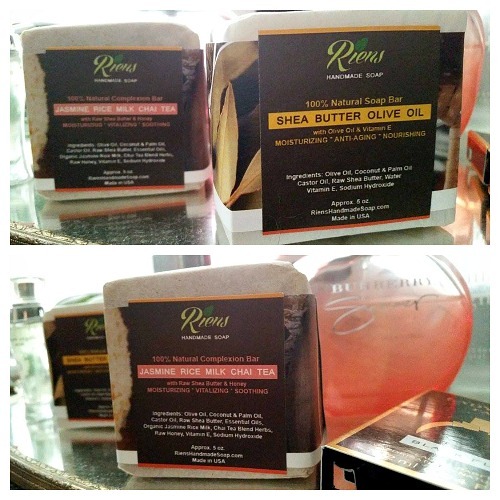 So today I want to sit down and have a chat with you about Riens Handmade Soap*. First things first though, this is a sponsored post and I was sent these items in exchange for an honest review. I was sent two AMAZING handmade soaps though - one being Jasmine Rice Milk Chai Tea and the other being the Shea Butter & Olive Oil. 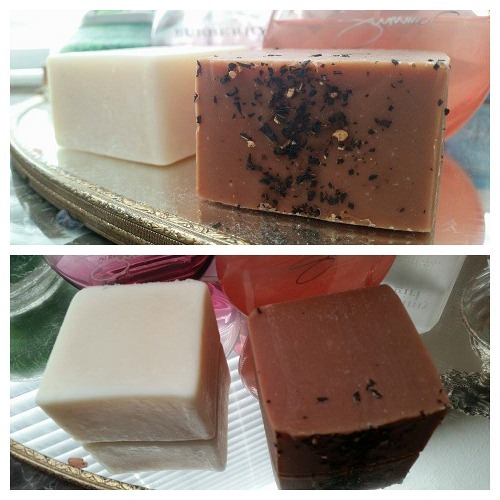 One thing that is awesome about both of these soaps is that they are both paraben free, have no preservatives, no chemical ingredients, no SLS or detergents, no harsh ingredients, and are cruelty free! If you've been following me even a little bit you'd know that I've spent quite a bit of time in the sun lately. Which means my skin has been just a little extra dry! I used the Shea Butter and Olive Oil soap and it is SUPER moisturizing. I got totally burnt and upped my moisture game by adding this as my soap while I showered + lotion and I didn't peel at all from my sunburn! (unlike last time when I peeled like crazy on just lotion alone). You can visit their website at RiensHandmadeSoap.com, follow their Twitter @Riensoaps, and like them on Facebook. I think anything handmade has some special thought into it. I think thats why we all love Lush so much, its different everytime! I really like handmade soaps and these sound so lovely! They def are the best soaps I've used! Much better than the store bought ones.